HFI combined classic usability practices with its new PET design™ methodology for optimizing persuasion, emotion, and trust – including eye tracking studies. In-depth research identified people's wants, needs, motivations, and expectations. 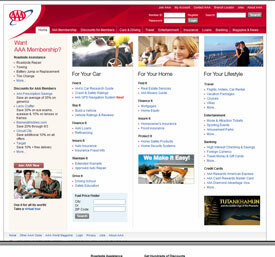 Analysis found the existing AAA website didn't encourage people to explore new products, go deeply into the content, or even notice prominently displayed offers. HFI developed a new site structure that promotes consumer discovery and cross-sales through a carefully orchestrated guided path. 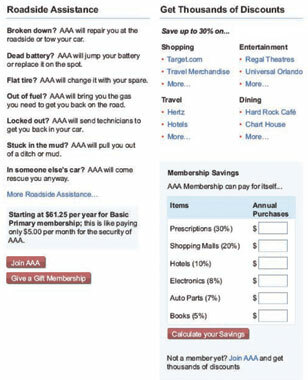 Instead of selling everything everywhere, the site now leverages "seducible moments" to present the right offer at the right time – including things that visitors didn't even realize AAA offered. 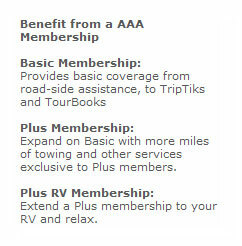 AAA Mid-Atlantic has enjoyed dramatic benefits since the launch of its redesigned website. 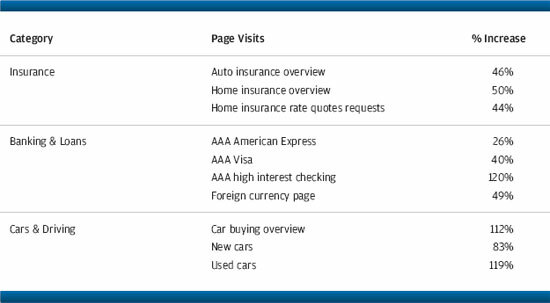 Expanded awareness: Site visitors discovered and remembered twice as many products and services; page views have soared in nearly every category. Increased conversion: Membership page visits and leads have exceeded a 200% increase; online renewals for all membership types are higher. 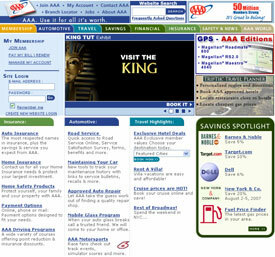 Improved usability: 99% of usability test subjects successfully completed their tasks vs. only 54% with the old design. 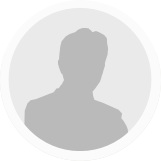 Brand appeal: Tests showed the new design is unanimously preferred over the old site.